The Hippodrome Casino is one of the most exclusive and exciting land-based casino locations in the UK. So when this casino decided to launch an online platform I felt a great deal of excitement getting my hands on the games and features on offer. Starting up the website shows that this online casino has been molded in the same fashion as its land-based namesake in a mold of elegance, exclusivity and great gambling. Powered by Betway, this casino has quickly established itself as one of the top online gambling providers with an impressive list of games, services and customer support. The land based Hippodrome casino has over 100 years of history and casino experience, something which they have done an excellent job in to transferring the knowledge over to their online business. The Hippodrome Online Casino is slightly different to many other casinos when you get up their homepage. Instead of massive flashing banners and huge buttons in the middle of the screen telling you to sign up, it takes a more subtle approach. In the top right corner, next to the log-in box, you will find a registration button. This will lead you to the sign-up screen where you pick a username, password and fill in your basic details. From here on out it is a very clear-cut process that only takes a few minutes before you are up and running with your casino account. Joining the Hippodrome will give you a chance to collect some nice bonuses when you make your first deposit. You will get 100 per cent extra on your first deposit up to £250. You do not have to go through a long process of verifying or completing something - the money will be credited to your account instantly once you have made your deposit. It is well worth noting that your bonus will expire 30 days after you receive it and you need to bet the money 30 times over in order to withdraw. On your second deposit to the Hippodrome online casino you can claim 25 per cent on deposits up to £250 and on your third deposit you will get a 50 per cent bonus on the same amount. One of the things that usually bother me with new casinos is the lack of games available. The people at the Hippodrome managed to blow me out of the water by whacking out a whopping 450 games as they launched their platform. This is because they have the impressive Microgaming platform which gives them access to some of the most popular and impressive games currently on the online casino market. Games include the classic casino options such as Blackjack, Roulette, Dice games, a huge range of slot games and video poker. There are several Poker table games available as well - in casino versions. Overall the gameplay itself is swift, smooth and just what you would expect from this type of online casino. 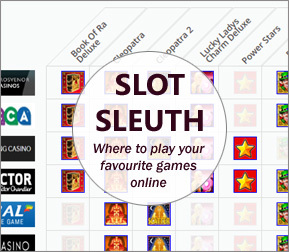 The platform itself is easy to navigate and you will quickly find whatever game you are looking for. In terms of depositing and withdrawing money from your Hippodrome account you have a good range of options available. First and foremost we find the most basic deposit option which is by debit or credit card. You can use your MasterCard, Maestro or Visa to make instant deposits to your casino account. In terms of e-wallets you can use the highly popular Neteller as another option if you want an instant deposit. Other options include ClickAndBuy, Click2Pay, EcoCard, EntroPay, Ukash and bank transfer. It is well worth noting that the Bank Transfer option will take the longest time and you will not get access to your funds until after a few days of processing. The options are very similar, near identical, when it comes to withdrawing money from your account. One of the main differences is that you need to verify your identity in order to withdraw money from your account (standard procedure at online casinos) when you do it for the first time. This will make the process take a few days more and it is well worth keeping in mind. There are several ways of getting in touch with the Hippodrome online casino. Keep in mind that the land-based casino and the online are not connected when it comes to support so you cannot go to the London casino and ask for help with any questions or problems that you might have. There is a toll-free UK number as well as an international for people wanting to call. You can send an email to their support address where you will usually get a reply within 24 hours. Your best bet is to go to the Live Chat function and speak to a customer service representative straight away. The Hippodrome has an extensive promotions section which gives you quite a few good deals on games, deposits and events. The best way for you to stay on top of what is on offer is by heading over to the website and clicking the Promotions tab. This will give you a complete list of running promotions as well as some of the upcoming ones. All in all, the Hippodrome Online Casino is a top gambling venue that offers a wide variety of games, promotions and great customer service.